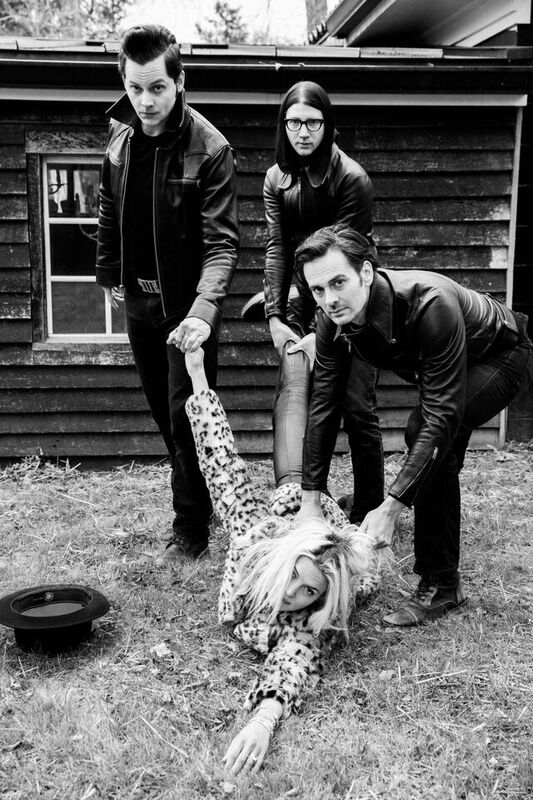 Third Man recording group The Dead Weather — Jack White, Alison Mosshart, Dean Fertita and Jack Lawrence — has announced the release of their long anticipated new album. DODGE AND BURN – the band’s third album and first full-length release in five years – will be available everywhere on Friday, September 25th. The album will be available for pre-order worldwide beginning this Friday, August 21st, with digital pre-orders receiving an instant download of the album’s electrifying new single, “I Feel Love (Every Million Miles).” The new single will also be available digitally worldwide on August 21st. Released today, the brand new single, “I Feel Love (Every Million Miles),” is streaming now exclusively via global music and entertainment platform, TIDAL. The Dead Weather has also premiered the ferociously compelling Ian & Cooper-directed video for “I Feel Love (Every Million Miles).” Watch a teaser HERE and view the entire video via TIDAL. The Dead Weather first united after Alison Mosshart’s band The Kills supported Jack White and Jack Lawrence’s band The Raconteurs on a string of North American dates. The trio followed the tour with a few informal recording sessions at White’s famed Third Man studio, soon augmented by Raconteurs collaborator/Queens of the Stone Age multi-instrumentalist Dean Fertita. The result proved extraordinary – The Dead Weather’s debut album, HOREHOUND, arrived in July 2009 to worldwide critical acclaim and a top 10 Billboard 200 chart debut. The four musicians celebrated the release with a 23-date North American tour before reconvening at Third Man in December for three further weeks of writing and recording. Released less than a year after their debut, SEA OF COWARDS made it abundantly clear that The Dead Weather were no mere side project — White, Mosshart, Lawrence, and Fertita were now a band. Ultimately named among the top 15 on Rolling Stone’s “30 Best Albums of 2010,” SEA OF COWARDS drew rave reviews for its aggressive songcraft and overwhelming intensity, as did a worldwide tour highlighted by sold out headline dates and showstopping appearances at such legendary festivals as Coachella, Glastonbury, and the New Orleans Jazz & Heritage Festival.